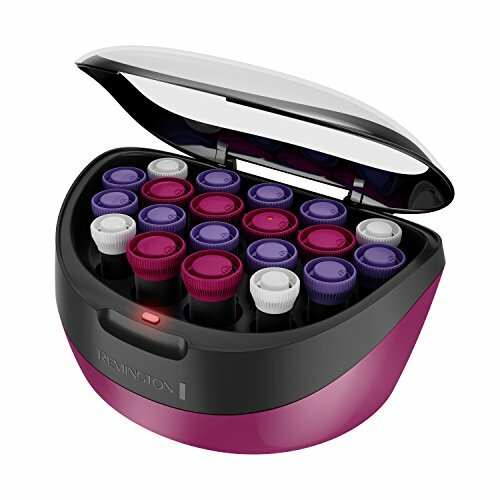 The Remington Ionic Conditioning Hair Setter uses exclusive thermal wax core rollers to create long lasting curls. The wax core allows the roller to retain high heat longer and create long lasting curls and volume*. 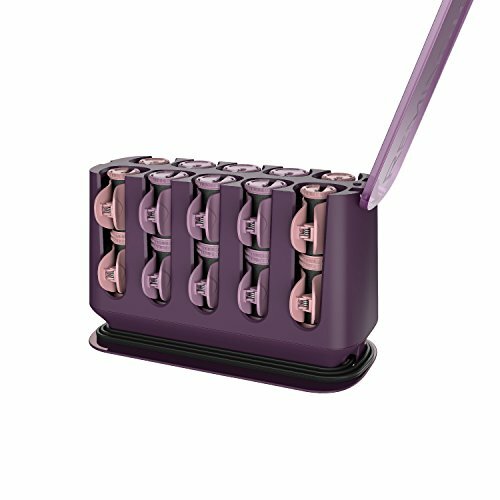 The 20 velvety rollers feature Ionic Conditioning so your curls have less frizz and more shine*. Three color-coded clip and roller sizes ( , 1 , 1 ) allow you to customize your look and cover your whole head! The exclusive J-clips are specially designed to securely hold the roller in your hair with less creasing*. The ready indicator light lets your know when the rollers are the perfect temperature for styling, and the cool touch ends make these rollers comfortable to use. Plus, the two-year limited warranty adds peace of mind. America s favorite setter brand just got even better. The Remington T|Studio Thermaluxe Setter delivers the perfect amount of heat to set curls in just five minutes. 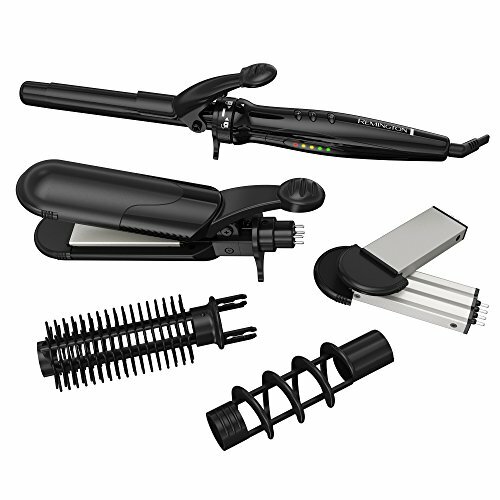 Dual heating technology heats curls from the inside and outside, while the exclusive clip design helps reduce snaps and creases. This set comes with 12 large (1 inch) and 8 medium (1 inch) rollers so you can quickly create a head full of beautiful curls. Other features include: 90-second heat-up, space-saving design, cord storage, 4-year warranty.Voltage -120 VAC 60Hz. Curls that last all day. The Remington T|Studio Thermaluxe 0.75"- 1" Curling Wand optimizes heat levels to quickly curl hair and minimize heat damage. The tapered barrel (0.75"- 1 ) creates medium-sized curls, and the exclusive nonslip ceramic coating makes it easy to just wrap and go. And these features pay off. In a consumer study, 62%* of users saw a better hold and 73%* had more control using the Thermaluxe curling wand. Better heat leads to better results. Other features include: 410 degree high heat, 30-second heat-up, auto shutoff, swivel cord, heat-protective glove, 4-year warranty. *Compared to their previous styling tool in a consumer study conducted in January 2016. Includes heat protective glove and matching storage pouch. Warranty: No Worries Guarantee 1-8-No-Worries (1-866-967-7437). Satisfaction guaranteed or your money back. Call within 30 days of purchase. Requirements include sending unused product and original, dated cash receipts. This offer is limited to one per name, household or address. 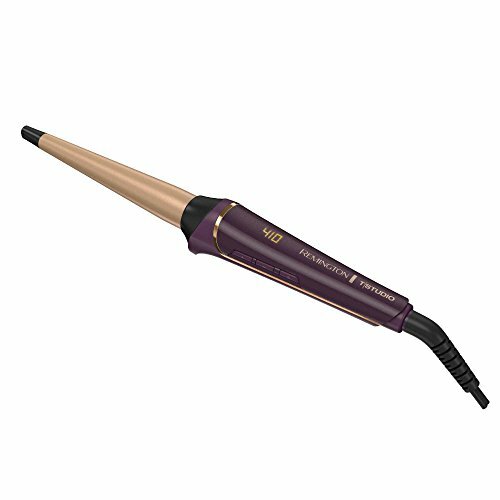 The infiniti pro by conair elite collection steam waver uses hydrating steam mist to lock in nourishing moisture for gorgeous, beachy waves, high intensity shine and big, beautiful volume. It features an ionic generator to smooth cuticles and fight off frizz. The gentle ceramic plates create little damage and no hot spots. 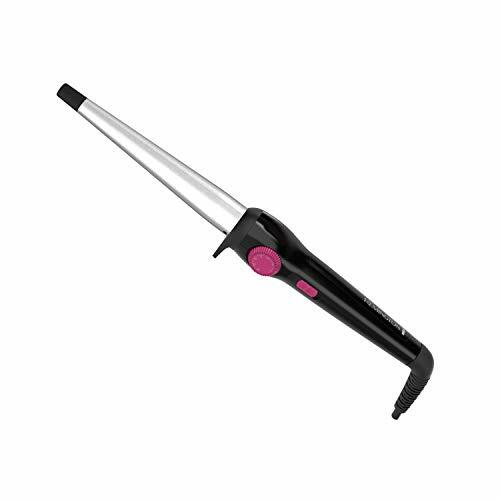 Create versatile styles with the high heat levels up to 437-degrees F. Turn up the heat with the steam waver. 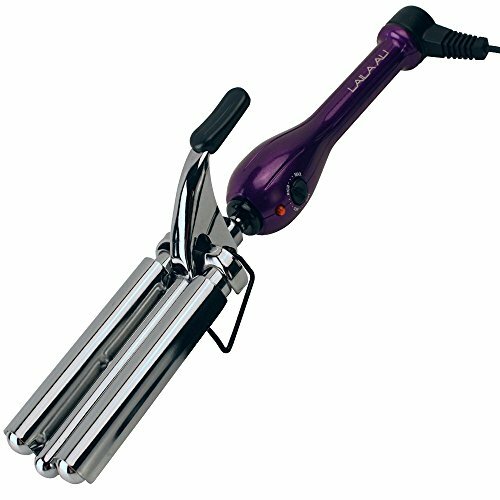 Easily creates frizz-free, shiny waves with this purple 3-barrel waver. The 3 barrel design creates long-lasting, defined waves without kinking or crimping. Titanium technology in the waver provides high, even heat and conditioning ions to lock in moisture, making it ideal for all hair types. The waver heats up to 450 degrees and has multiple heat settings so you can select the perfect temperature for your hair style. Heats up in just 30 seconds and has instant heat recovery so it stays hot wave after wave so you can style your hair quickly. The waver has a tangle free swivel cord and safety stand. The Remington S8670NA Multi-Styler with 5 Interchangeable Styling Attachments gives you the ultimate in customization for you to create any look you want on any given day. All of the attachments are designed with ceramic, tourmaline ionic smooth glide technology. The tourmaline releases negative ions when heated and the result is reduced frizz and static. If you want gorgeous curls, you can choose from the curl barrel, spiral sleeve, or combed brush. Each attachment creates a unique curl to personalize your look. 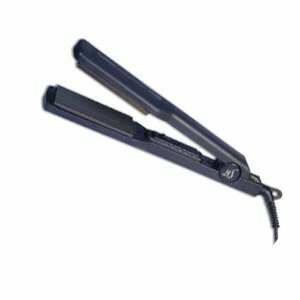 If you want to go with a straight style, or you want straight bangs with your curly hair, use the 1 straightening plates. If crimped hair is more your style some days, the crimper plates are for you. This versatile tool allows you to personalize your look for whatever style you want! Incorporating curls into your daily hair styling has never been easier with Remington's Style Conical Curling Wand! With ceramic plates and a quick 30 second heat up, the curling wand will help you to create instant, healthy and glamorous curls in no time. Remington conical wand gives you the flexibility and ability to create tousled, natural looking curls. Better design, better price, better value! Ceramic Barrel - The ceramic-coated barrel emits infrared heat to curl hair quickly and retain more of your hair's natural moisture. 1/2 to 1 - The silk ceramic barrel ranges from 1/2 to 1 so you can quickly create wrap-and-go curls of multiple sizes. 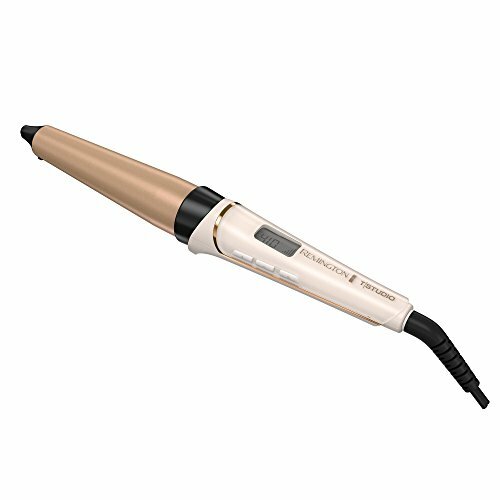 Salon High Heat - The wand has 30 different temperature settings and can reach a salon-quality high heat of 350-degrees. Auto Shutoff - A simple on/off switch is paired with a 60-minute automatic shutoff feature to give you peace of mind with every use. Swivel Cord - The swivel cord allows free-ranging motion so you can curl and style at an angle. Gorgeous salon-created curls are a breeze with the new t studio pearl ceramic 1- 1 1/2 inches professional styling wand. featuring a high-tech ceramic wand infused with real pearl, this patent-pending technology provides the most advanced ceramic surface for the smoothest glide on the market. 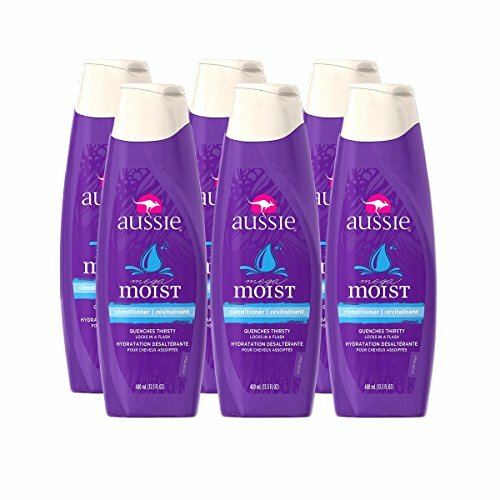 Your hair is left smooth and silky with a luminous luster. 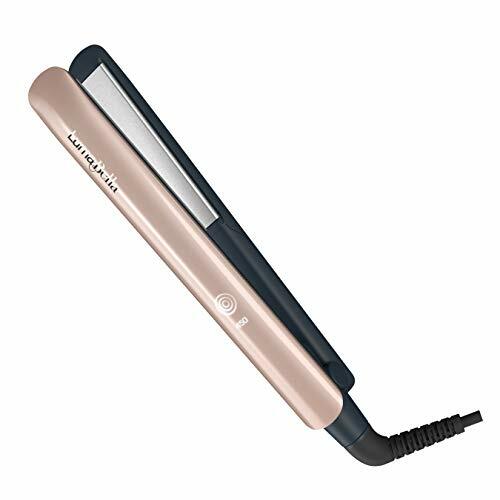 This must-have styling tool offers easy-to-read digital controls and heats up to salon-standard 410 degree Fahrenheit so you get picture perfect curls that last all day. The multifunctional tool has a cone shaped design offering a variety of dimensions to meet your style needs. Ios Professional Hair Titanium Zig Zag Crimper. Titanium technology for effortless results in one pass. Negative ion technology eliminates static and frizz. The product is manufactured in USA.